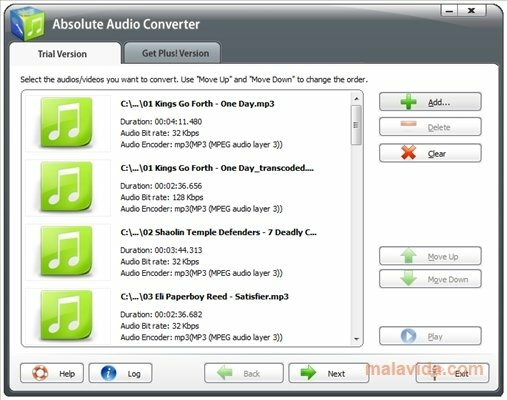 Absolute Audio Converter has the honor of being one of the audio converters with the best possible interface that we can offer you. 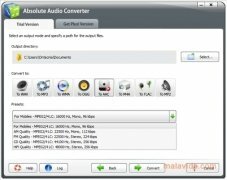 With an incredible design and with features that above the norm, it has to be said that converting an audio file with it is really simple. 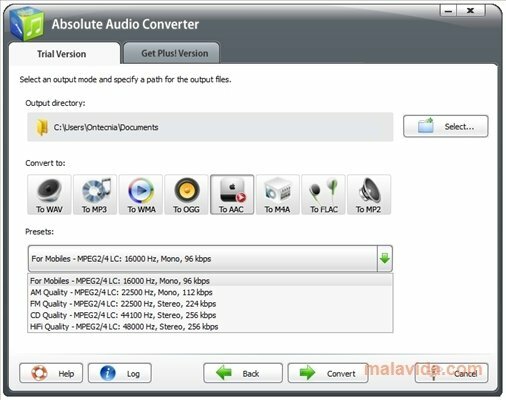 Absolute Audio Converter will allow us to add as many songs as we want, while it shows the album cover, the file name, the bitrate and any other information about the file that can be found in its ID3 tags. 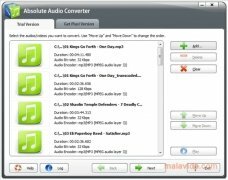 Once we have organized all the files that we want to convert, we will be able to choose between WAV, MP3, WMA, OGG, AAC, M4A, FLAC and MP2, each offering multiple quality configurations and the possibility of variable or fix bitrate. 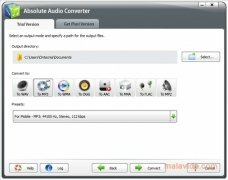 In other words, we will be able to modify everything to our own liking so as to get the desired result. 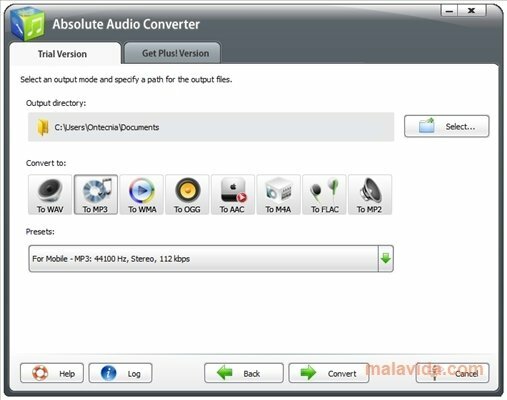 Once we have defined the configuration, Absolute Audio Converter will start to convert all the files, and once the process is finished we will have perfect conversions with the quality that we have previously selected.